The minor opposition Justice Party has pressed charges against three lawmakers of the main opposition Liberty Korea Party over their controversial comments allegedly disparaging the 1980 pro-democracy uprising in Gwangju. 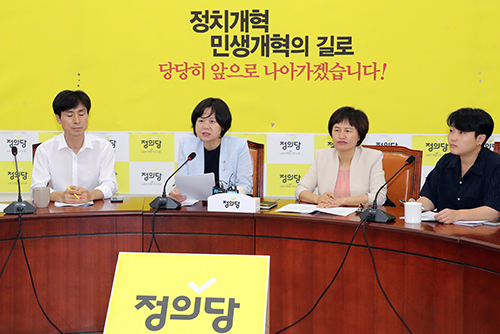 The party filed the charges with the prosecution on Monday, saying that Representatives Kim Jin-tae, Lee Jong-myeong and Kim Soon-rye as well as right-leaning social commentator Jee Man-won have violated the honor of figures related to the May 18th Gwangju Democratization Movement. The party said that Jee and others made false statements during a public hearing held in parliament last week, claiming the uprising was "guerrilla warfare orchestrated by North Korean special forces," and thereby slandered the citizens of Gwangju who took part in the movement. 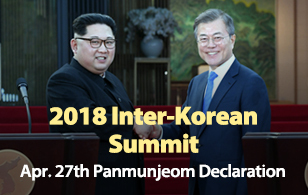 In pressing charges, the Justice Party articulated that Jee made remarks that the main participants of the movement were key members of the North Korean regime while the other lawmakers said the 1980 "riot" had wrongly turned into a "pro-democracy movement." The lawmakers were also cited as calling those recognized for their contribution to the May uprising a "monster group eating into taxpayers money." The party added that though Representative Kim Jin-tae did not attend the hearing which he had organized, he also previously claimed North Korea's involvement in the uprising and allegedly conspired criminal activities with the others. The party said the false remarks the lawmakers uttered are irrelevant to their parliamentary duties and therefore not protected by the parliamentary privilege of exemption from liability.